Confession time, I haven't played a Pokémon game since the original Gold and Silver on Gameboy Color. Well, I have played a bit of Pokémon Stadium (love those mini games) and Pokkén, but I don't think those really count. First up, these Kari Pori sticks. The candy is expired, but I'm going to review it anyway! 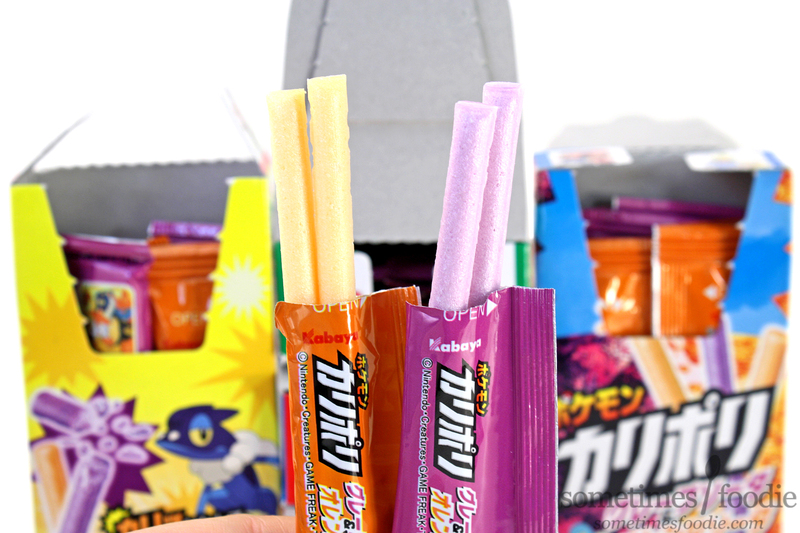 We all know I bought these for the boxes, and I totally did, but it was a low-risk impulse buy because I'm already familiar with Kari Pori sticks. They were one of my OG food reviews back in 2013! 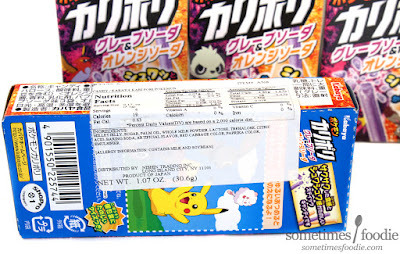 Kabaya really crammed a ton of Pokémon onto each tiny box. 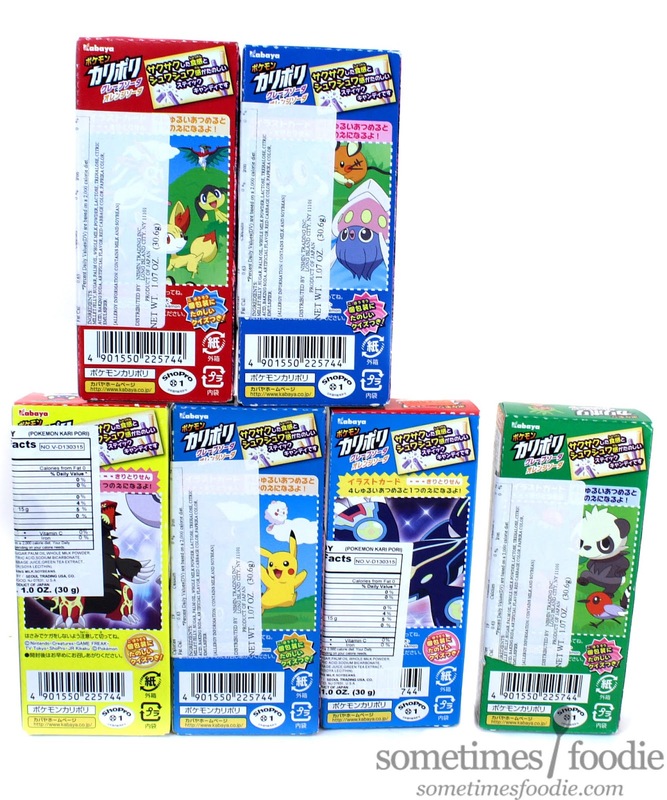 We have Pokémon on the front, those same Pokémon on the tops of the boxes, different Pokémon on the back, even more Pokémon and characters on the tiny inside flaps! Inside each box are several sticks, the purple wrappers are grape candy, and the orange are, well, orange. Duh. 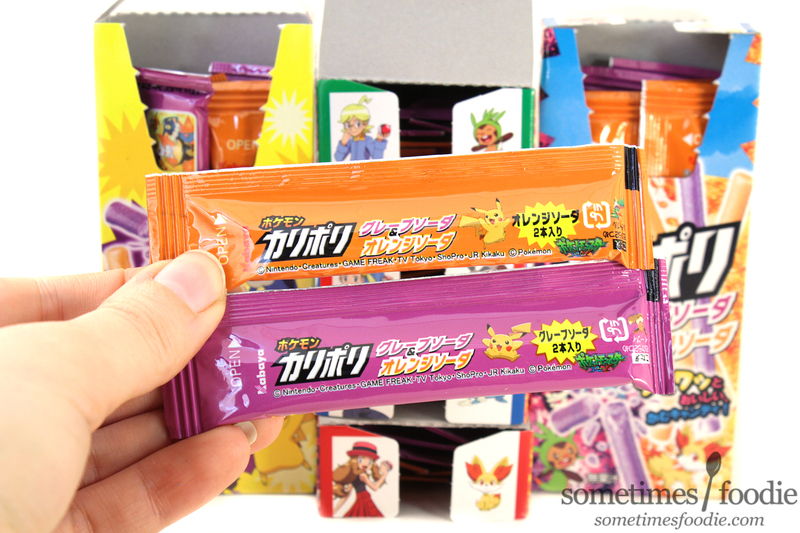 The individual wrappers seem to have some Pokémon puzzles and games, like spot the difference and the like on them, which is cute, but I can't read any of it, so any puns or cleverness is truly lost on me but I still enjoy the mazes and visual puzzles. 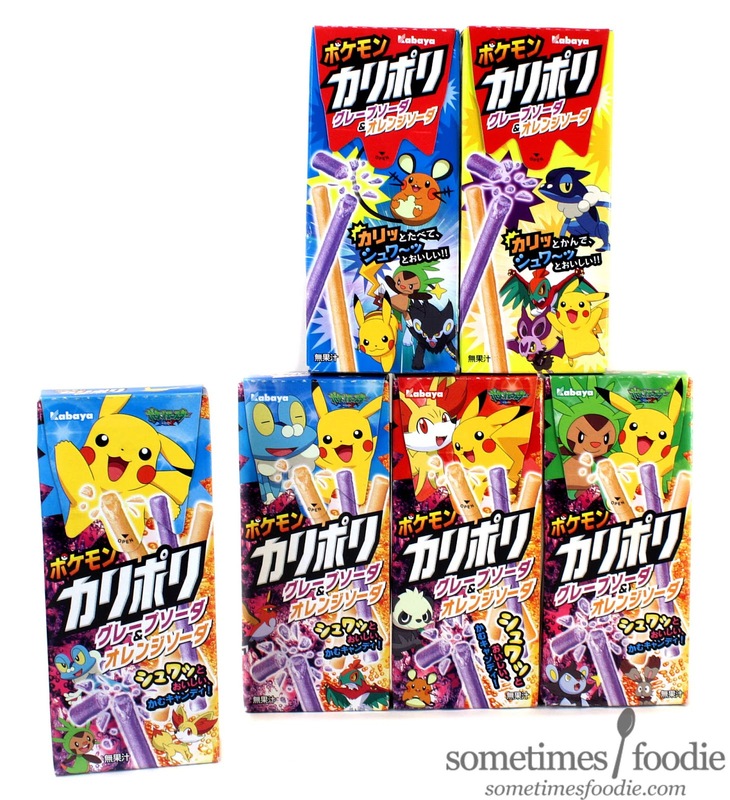 We finally get to the candy! 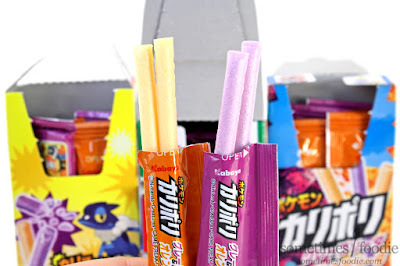 So, how do these tiny expired candy sticks taste? Grape (Purple) - It has a light concord grape flavoring with a decent amount of tanginess and some added soda-fizziness. Thanks to it's light texture and effervescent core, this easily reads as a grape soda flavored candy, but the grape flavoring takes a backseat to the overall tanginess and it's more authentic than more American grape sodas. This is more Welch's grape Jelly meets Sprite than modern day grape soda, and I'm okay with that. I found this to be very snackable and quite refreshing. Orange (Orange) - Again, the fruity flavoring takes a bit of a backseat to the overall soda-aspect of the candy, but the orange is significantly bolder than the grape. After the fizziness winds down you get a bright citrus flavoring similar to a classic orange soda. It's light, crispy, and impressively authentic. Porbably one of the best orange soda themes candies I've ever had in regards to authenticity. This is a rare case of a novelty product that manages to taste as great as it looks. DBZ products should take note. This is how it's done! So, if you see any Kabaya Kari Pori sticks around, I highly recommend giving them a chance. I haven't been disappointed by one yet! 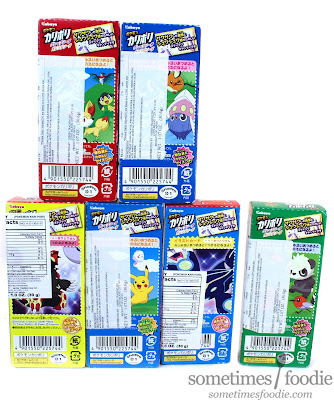 Also, just in case anyone here is interested, I am selling these empty boxes and additional Pokémon stickers HERE on eBay. I love how these boxes look, and they make for a really cute display, but I just don't have the space anymore so I rather they go to a happy home.